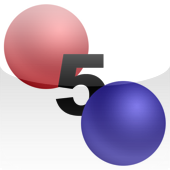 Five or More is an addictive game, helps you to spend as much time as you can, also good for training concentration or pointing accuracy. 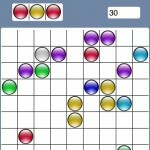 The game’s objective is to align five or more balls of the same color causing them to disappear, as often as possible. 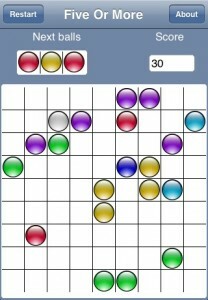 This is the iPhone port of the game GLines, also known as Five Or More from Gnome Project. As an early pilot project please do not blame me for the awkwardness. The game was ported in few hours in the early hours of iPhone development without guidance of Apple or any third party game engine.